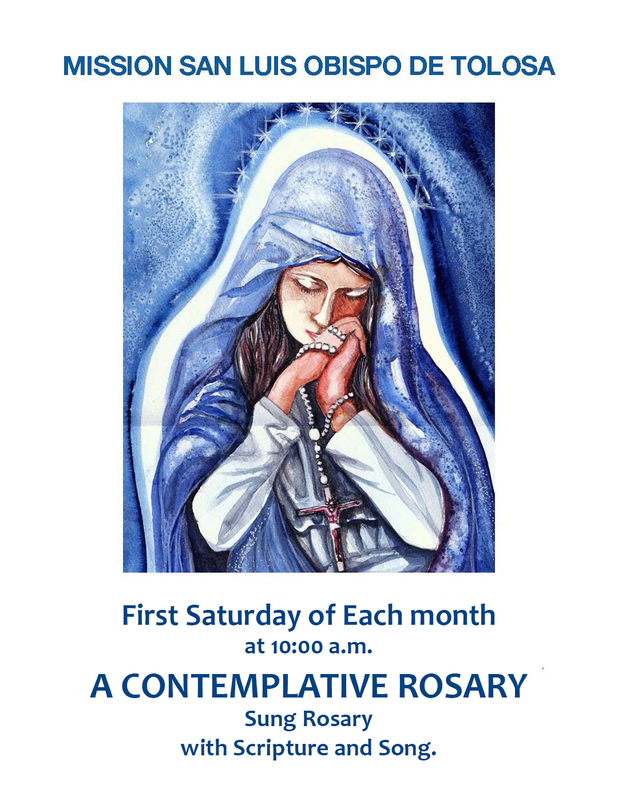 for Bulletins, Parish Calendar, and more. Fr. Jim Nisbet’s Scripture Studies. Click below for the link to their website. Mass schedule may be different on Holy Days and Special Occasions. 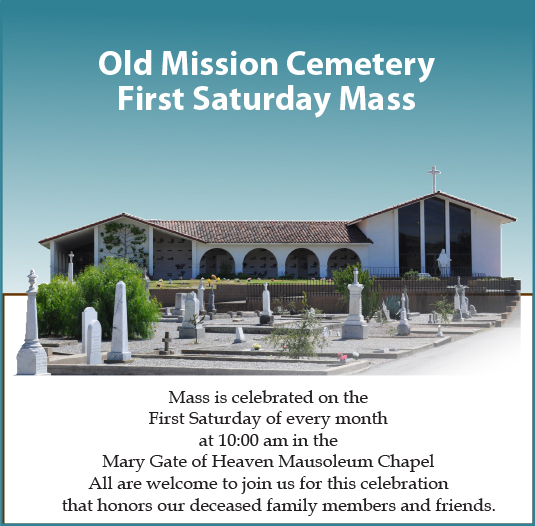 For more information, please check our Calendar and the Weekly Bulletin, call the parish office at (805) 781-8220 or email office@oldmissionslo.org. Welcome to Mission San Luis Obispo de Tolosa. For more than two centuries, Mission San Luis Obispo has greeted travelers, pilgrims and guests with open doors and a place to rest. At the crossroads of the Central California coast, the Mission lends heart and spirit to its vibrant surrounding community. We hope you will visit us. We are open year-round. There are many ways to participate in the life of Mission San Luis Obispo. You participate when you visit the Mission, when you attend a concert, take a class or prepare for baptism or marriage. If you live nearby but have not yet found a parish home, our doors are open to you. If you are seeking faith and meaning and have not yet found a church home, the Catholic tradition welcomes you and will prepare you for baptism or confirmation. Please contact us if you feel that you belong here. It is a strong sign that you do. Just click our Participate link. The Sacraments of the Church are those things that mark the important moments of our lives in a way that we can touch, feel and remember. It’s said that our sacraments are an outward expression of an interior grace. The Old Mission exists to provide for the sacramental needs of those who live on or visit the Central Coast. Please contact us concerning: baptism, confirmation, First Eucharist, reconciliation, marriage, Anointing of the Sick, or call to a religious vocation. There are many funeral needs we can plan for and some we cannot. Old Mission staff is available to help you in either event. We are here to listen to you, to assist and advise you, and to prepare services filled with dignity and hope. Please consider contacting us for planning and information well ahead of need whenever possible. Everything the Church hopes to share and accomplish is through some form of ministry. The Twelve Apostles set the first tradition of service and witness, and we are called to follow their example. 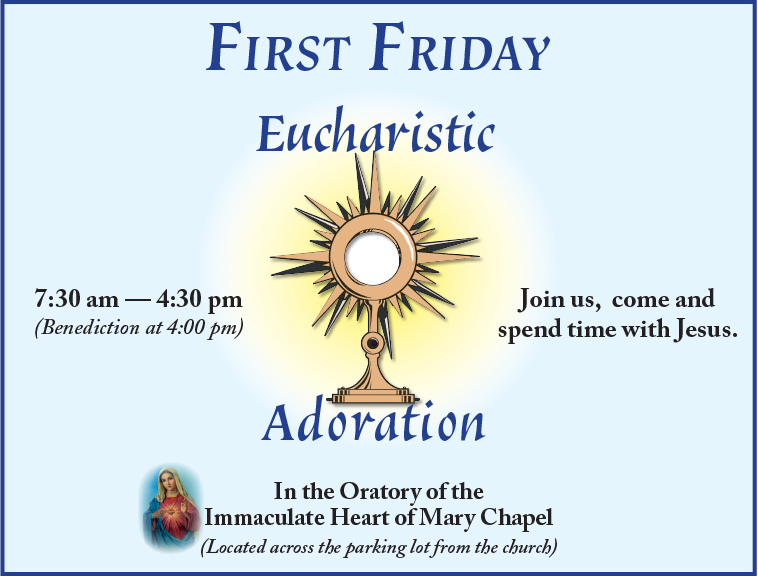 Old Mission invites you to become part of its ministry of faithful sharing through attending mass, liturgies and educational opportunities. We have openings for lectors, servers at mass, singers and musicians, ushers and greeters, ministers to the homebound, catechists to children and adults, and care for sacred altar linens, to name a few. We hope you will consider how the Holy Spirit may be calling you to give as you have received. 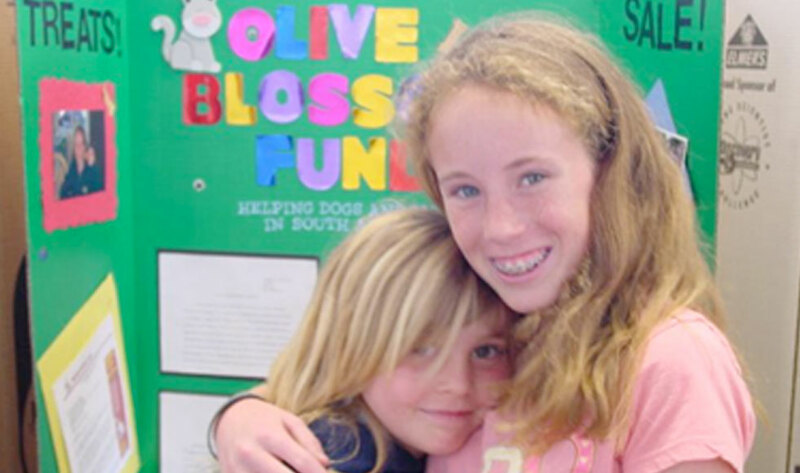 Catholic education has long been part of the San Luis Obispo community. Dating from the time of the original Franciscan friars, the modern era began in 1876 with the founding of Old Mission School by the Sisters of the Immaculate Heart. 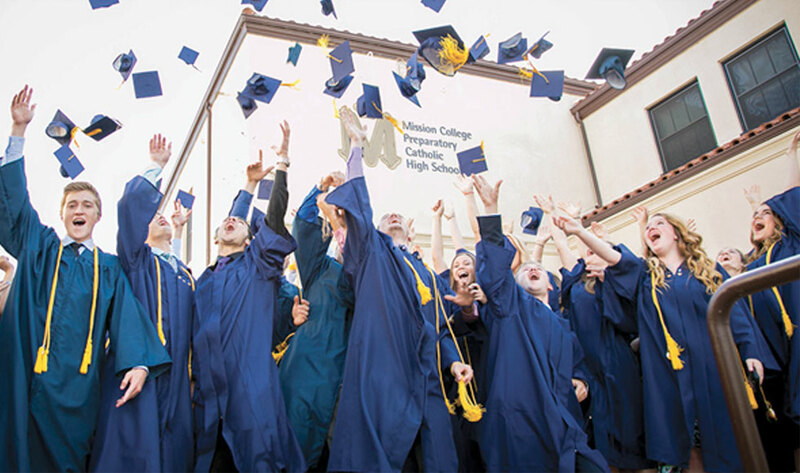 Today, Old Mission Elementary and Mission College Prep High School continue the tradition of educating faithful followers of Christ and leaders of our community.